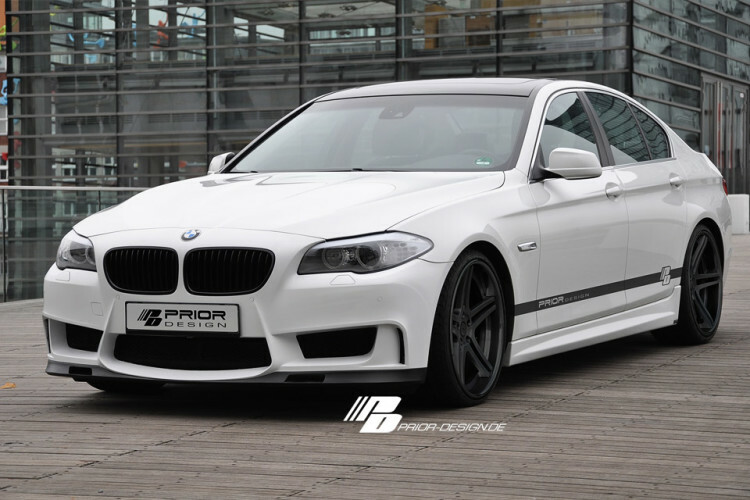 Prior-Design reveals a new update to their aerodynamic kit for the BMW 5 Series. 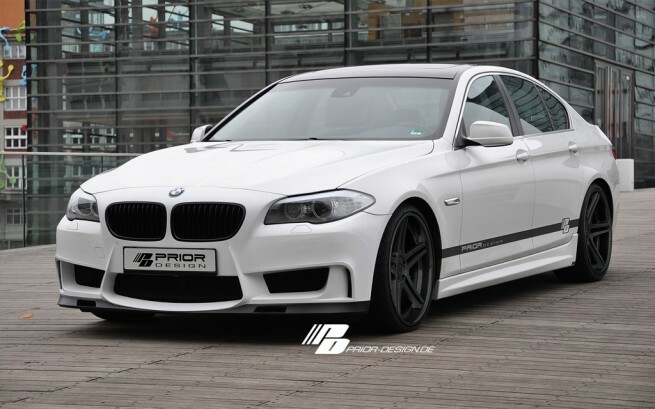 The PD-R aerodynamic package builds atop the previous release by adding a new front-bumper that fits all 5 Series models except the new M5, also new side skirts and rear add-on diffusor. The package brings the 5 Series look closer to the super sporty M5, but also includes some interesting design cues from the 1 Series M Coupe, like the air curtains at the outer edge of the front skirt. At the rear, Prior Design offers four centrally positioned tailpipes. All components are designed, at least for the moment only for export, prices are available on request directly at Prior-Design.